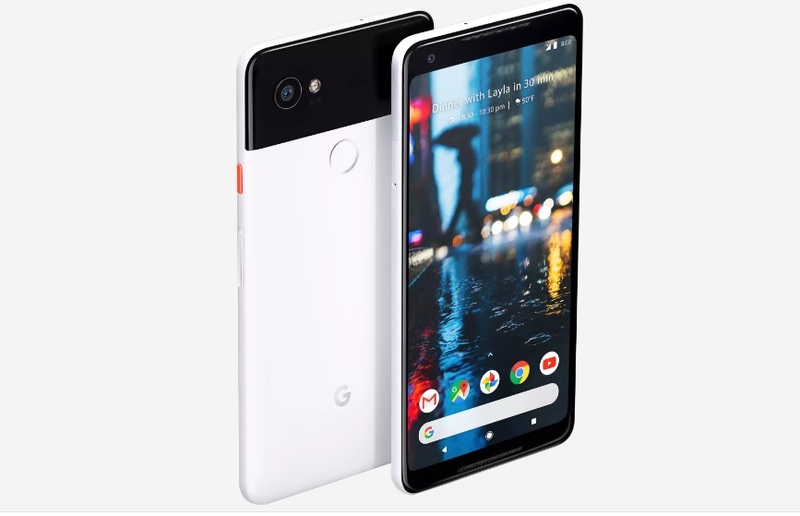 The Pixel 2 XL is currently sold for a whopping sum of $949. Analytic firm GfK has published statistics on the commercial side of the global smartphone industry which prove that the prices of smartphones are indeed on the rise. The study also provided data pointing towards growing African and Latin American markets, and a slight decline in the North American one. The feeling that smartphones have gotten more expensive over the past year isn't just a feeling anymore, as analytic firm GfK has published data that shows a 7% rise in the average selling price (ASP) of smartphones around the world. 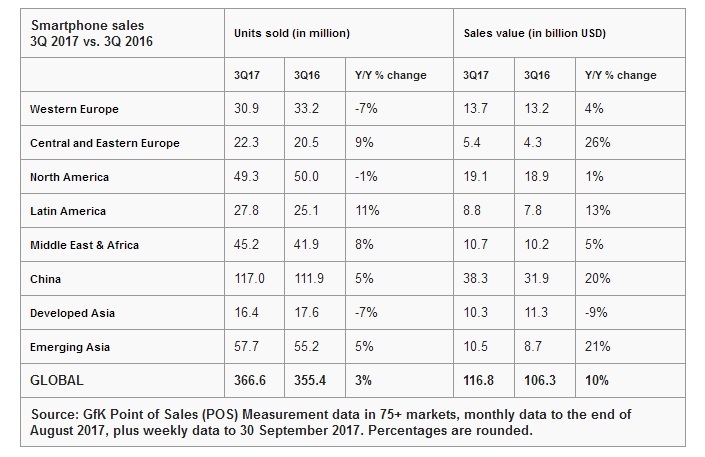 This figure was obtained by comparing the ratio of total smartphone sales value to the number of units shipped over the period of the past two years, albeit with the exclusion of Q2 2016 for obvious reasons. The study throws light on other metrics like sales figures by geographical location and general market growth. Total global shipments for the first nine months of this year come out to 366.6 million, a 3% year-on-year growth from the 355.4 million shipments recorded over the same period last year. Sales value from this year clocked in at US$116.9 Billion, a 10% growth from the total sales value of U$106.3 Billion in 2016. China remains the largest smartphone market, with a total of 117 shipped units in the Asian country representing over 32% of global shipments. Emerging Asia (Which includes countries like India, Indonesia, and Malaysia) and North America come in as the second and third largest markets in the world. 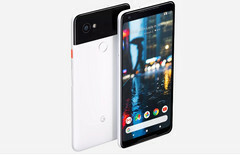 While the growth of the smartphone industry is one to be hailed, the accompanying rise in prices may be cause for alarm, especially with the new trend of flagships—Pixel 2 XL, Mate 10 Pro, Galaxy Note 8—looking to push towards the US$1000 mark. Mid-rangers like the Nokia 7 and Moto X4 were all launched with price tags above the US$400 mark, which is a tad incredulous when one remembers that the OnePlus One, a flagship in its own right, was much cheaper at launch barely three years ago. The market is booming, and OEMs are cashing in. How long until it peaks and crashes is the real question here.